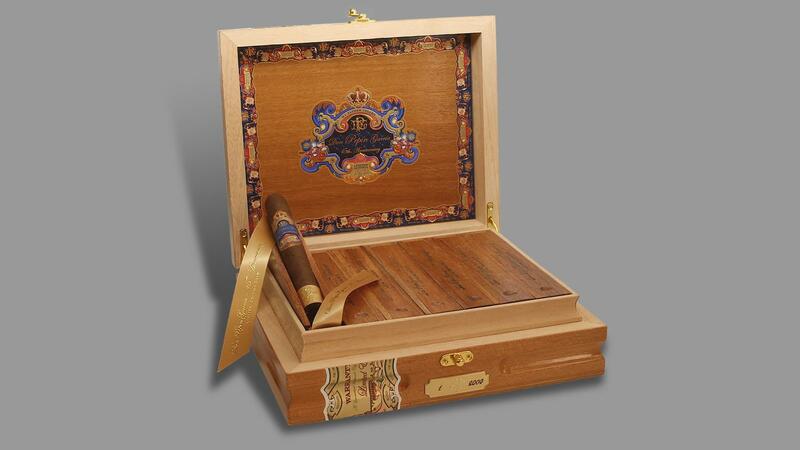 Don Pepín García 15th Anniversary Limited Edition cigars are individually coffined and will ship in boxes of 14. Fifteen years ago, Cuban expat José "Pepín" García opened up a small cigar factory in Miami’s Little Havana, where he began producing his namesake Don Pepin Garcia brand. Today, he is one of the biggest names in the cigar industry, with two Cigar of the Year accolades (My Father Le Bijou 1922 Torpedo Box Pressed in 2015 and Flor de las Antillas Toro in 2012) and a sizeable tobacco operation in Nicaragua. The Garcia family is celebrating this milestone with a special cigar called Don Pepín García 15th Anniversary Limited Edition, which is expected to arrive at retailers in mid-April. According to the Garcia family, the anniversary cigar has been in the works for three years, and the tobaccos were selected specifically to be aged until its release in 2018. The cigar is a Nicaraguan puro with a Habano-seed wrapper that the family describes as rosado oscuro. There is also said to be some Pelo d'Oro tobacco in the filler, a varietal known for its strength and sweetness but also its susceptibility to disease during cultivation. The cigar wears a Habano-seed wrapper grown in Nicaragua that the Garcia's describe as rosado oscuro. The tobacco was sourced from the Garcia’s Nicaraguan farms, which are located in the La Estrella and El Pedrero regions of Estelí. The cigars were produced at My Father Cigars S.A., the Garcia’s main factory in Nicaragua. Don Pepín García 15th Anniversary Limited Edition will come in two sizes: Toro ($24), measuring 6 1/2 inches by 52 ring gauge; and Robusto ($20), measuring 5 3/4 by 50. The cigars, which are individually coffined, will ship in boxes of 14. According to the company, only 2,000 boxes of each size will be made. This article first appeared in the March 20, 2018 issue of Cigar Insider.